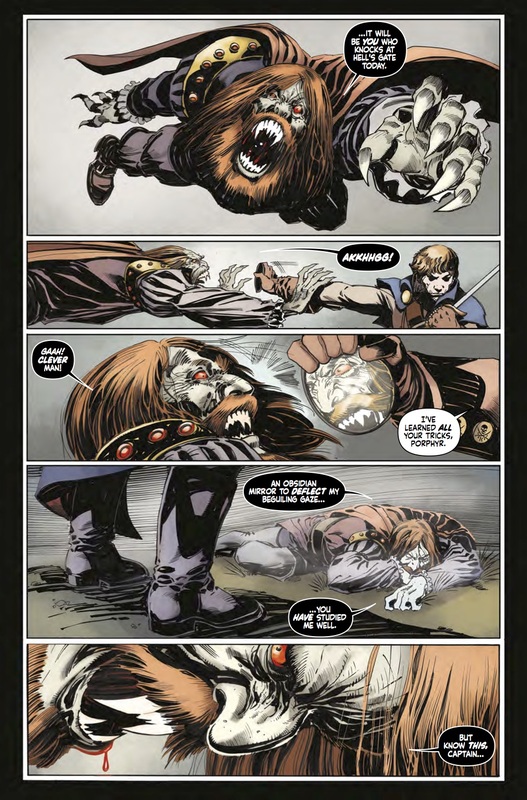 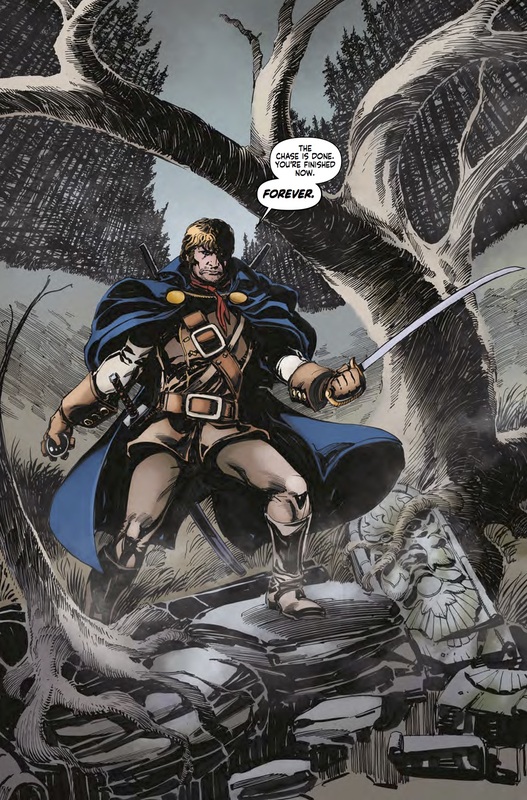 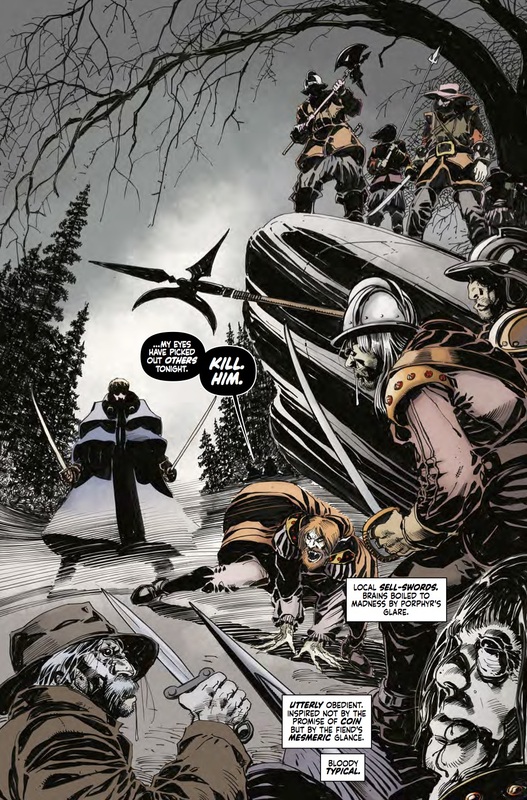 The Fellowship has obtained a first look at HAMMER COMICS: CAPTAIN KRONOS #1 from Titan Comics. 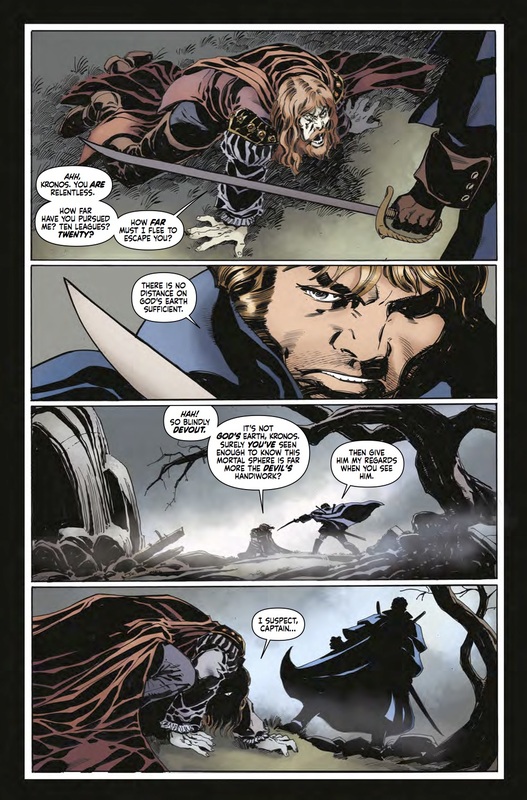 The issue, which hits stores September 27th, is written by Dan Abnett; with art by Tom Mandrake. 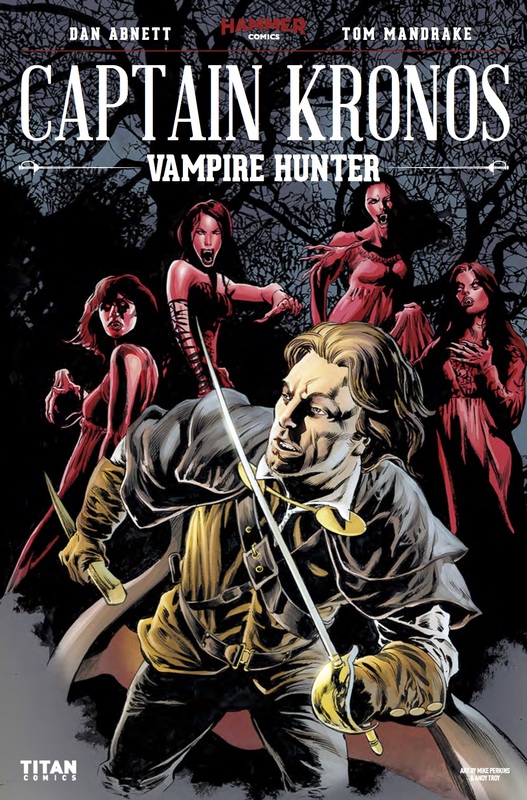 The covers are by Mike Perkins, Hammer Glamour (Caroline Munro photo), and Tom Mandrake. 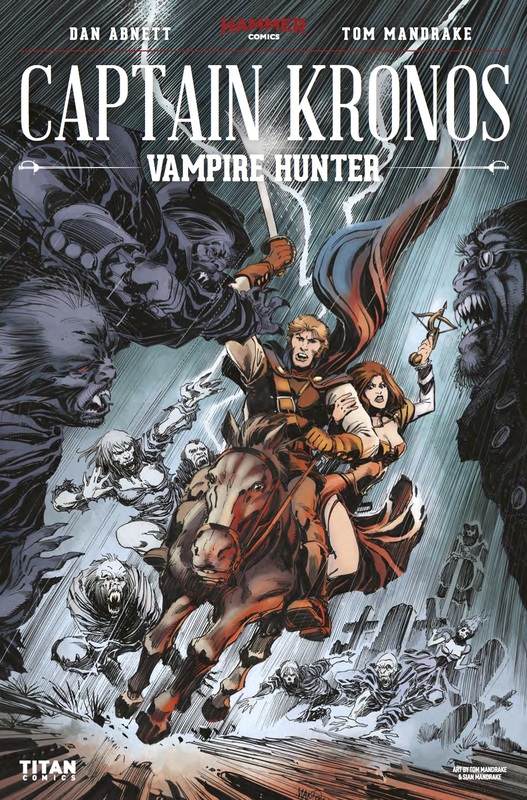 In the depths of Eastern Europe, the legendary vampire hunter, Captain Kronos, and his two assistants, Grost and Carla, are called upon to help rid a town of its vampire plague.